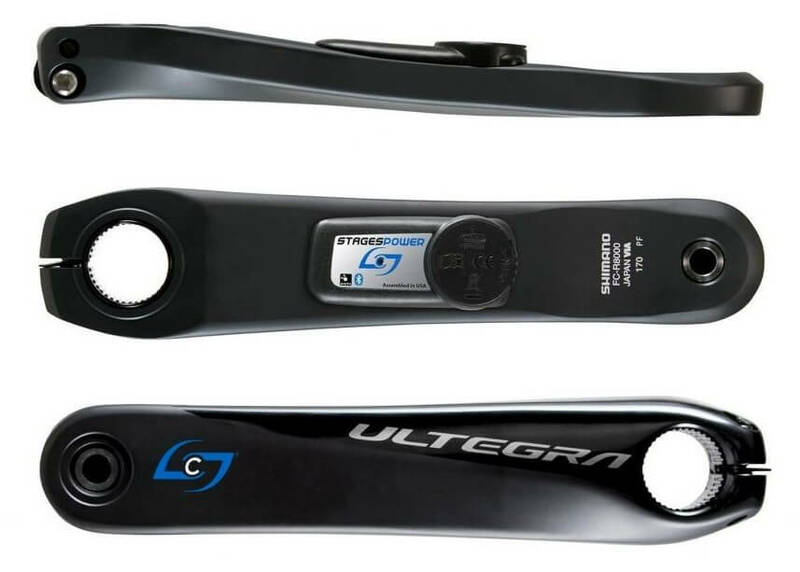 Stages Cycling shook up the power meter market in 2012 with the introduction of their left-side crank arm power meter. Unlike previous power meters at the time, the Stages measured left leg power only. This meant you simply swapped out your current crank arm for a new, power equipped one. It was also the first power meter to use both ANT+ and Bluetooth SMART wireless protocols. 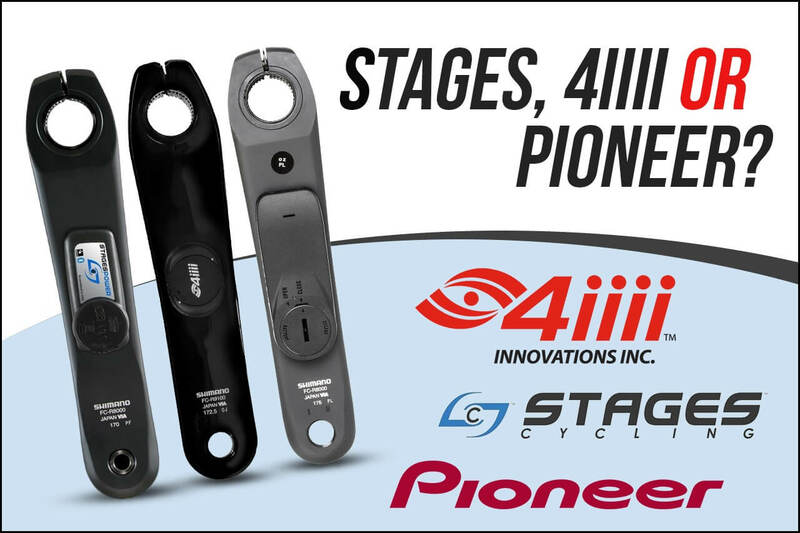 While Stages was first to the party with this type of power meter, Pioneer and 4iiii Innovations quickly followed suit, producing their own versions of a left-side crank arm power meter. While the power meters produced by these companies share many similarities…they are not without their differences. 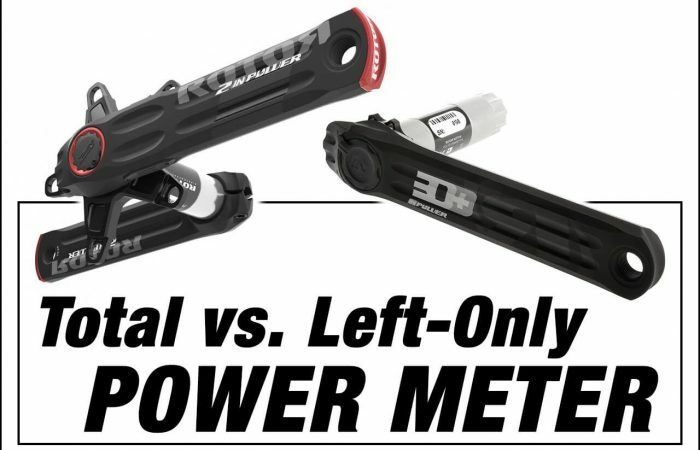 So we thought it would be helpful if we conducted a Stages vs 4iiii vs Pioneer crank arm power meter comparison – and put these three power meters head-to-head! Affordable – Since you are just buying the left-side crank arm (instead of an entire crankset, new set of pedals, etc. ), they are one of the more affordable power meters you can buy. In fact, 4iiii’s PRECISION is the most affordable direct force power meter available. Their Shimano 105 5800 arm is currently on sale for $360! Easy to install – This design allows for easy installation and swapping of the power meter between bikes. The power meter can be installed or moved between bikes in about 5-10 minutes. Light – They are extremely lightweight. These power meters only add about 10-20 grams (based on the model) to your bike. Almost nothing. It is important to note that a consideration with a left-side crank arm power meter is…well…just that. It’s left-side only. This means it takes your left leg power and doubles it to approximate total power. This is how all left-side power meters work. This type of power measurement is just fine for most folks, but some might prefer dual leg power measurement. So if you’re okay with a left-only power meter and like things like affordability, ease of installation and lightweight (who doesn’t) – and of course have a compatible crankset, than a Stages, 4iiii or Pioneer might be right for you. Below, we briefly summarize these three companies and put the power meters head-to-head across several key considerations you’ll want to consider. Stages Cycling got their start in the indoor fitness market, manufacturing power-equipped indoor cycling bikes. Starting in 2010, they began work on an outdoor version of their power meter and by 2012, they were producing what is now referred to as the Stages Cycling power meter. The Stages power meter was the first power meter to use both ANT+ and Bluetooth SMART protocols, as well as Active Temperature Compensation, which works to keep the power meter accurate regardless of temperature changes. 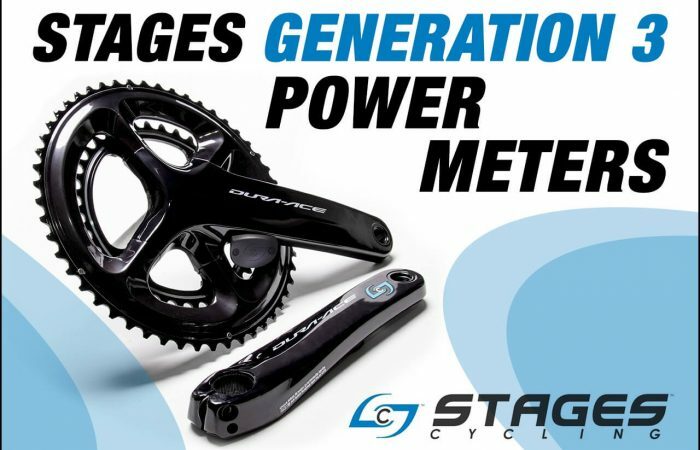 The company recently launched their Stages generation 3 power meters which feature a stronger transmitter, among other refinements. Stages offers a range of models for road, track and MTB. Compatible cranksets include Shimano, Campagnolo, FSA, Cannondale, SRAM and Race Face. They also make carbon arms for select cranksets. Prices range from $529 to $949 (excluding dual-sided cranksets). 4iiii Innovations, maker of the PRECISION and Podium, is based in Alberta Canada and develops a range of sports performance technologies. The company entered the power meter market in late-2014, unveiling the PRECISION, the world’s lightest power meter. 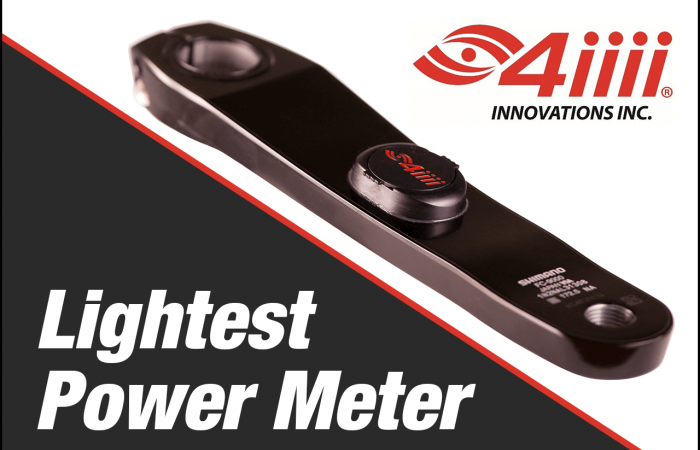 Like the Stages and Pioneer, the 4iiii power meter is a left-side crank arm power meter that takes your left leg power and doubles it to approximate total power. 4iiii units feature ANT+ and Bluetooth SMART, are accurate to +/- 1.0% and run off of either a CR2032 or rechargeable battery, based on the version. 4iiii is on their 2nd generation of power meter. They offer both the PRECISION (CR2032) and the Podium (rechargeable). Unlike the Stages however, 4iiii power meters are compatible with Shimano road and MTB cranksets only. Prices range from $360 to $599 (excluding dual-sided cranksets). Whether you are familiar with power meters or not, chances are you have heard of Pioneer. Pioneer is a Japanese multinational corporation that specializes in digital entertainment products. Around 2012/2013, they entered the power meter game. While their first generation power meter required a bit of work to get it installed correctly, their second generation, introduced around 2014/2015, made things much easier and proved to be quite popular. The company is now on their 3rd generation of power meters, the 3G. Pioneer power meters feature the company’s 12-point force measurement for high accuracy and advanced metrics (more on this later). They run off of CR2032 batteries, get approximately 180 hours of battery life and are dual ANT+ and Bluetooth SMART compatible. Pioneer power meters are compatible with Shimano road cranksets only. Prices for their 3G models range from $559 to $629 (excluding dual-sided cranksets). These companies make both left-side crank arms, as well as complete dual-sided cranksets. The focus of this article is on the left-side crank arms, as these are by far a more popular power meter. Their increased popularity compared to the dual-sided versions is largely due to their lower price point and ease of installation. All of these left-side crank arms install the same way. You simply remove your current, left-side crank arm and replace it with your new, power-equipped version. Installation typically takes about 5-10 minutes for most models. Some models, such as the Stages Carbon power meters, require you to change out your spindle as well, and this adds an extra step to the process. But it is still a relatively basic process. It can be performed at home in your garage as long you have access to some allen keys and a torque wrench. Note that for Shimano models, you will also need a Shimano Hollowtech II crank arm cap tool (costs about $5). 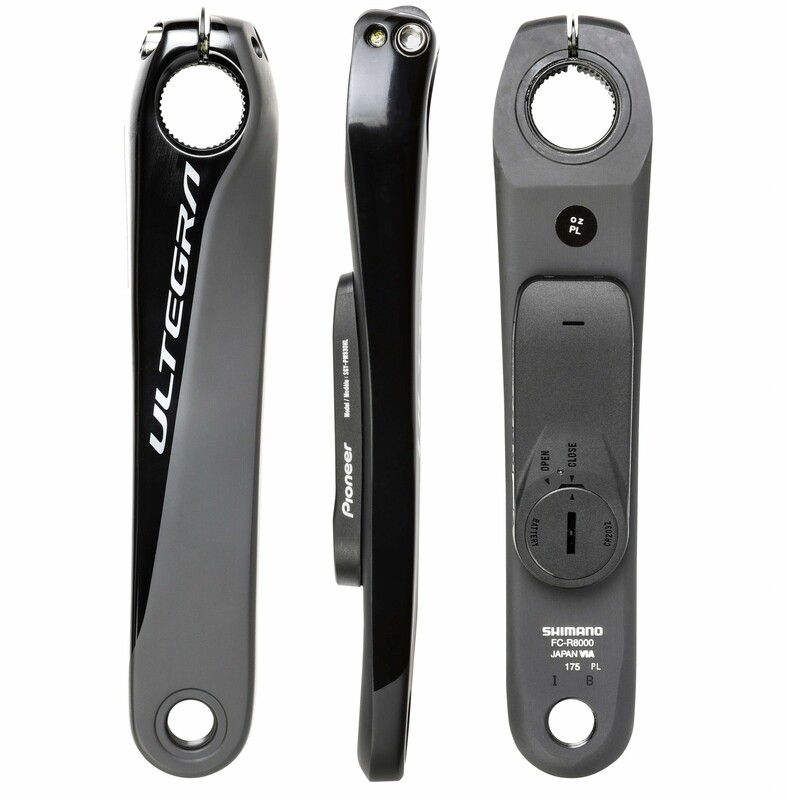 In general, crank arm-based power meters are one of the lightest power meters you can buy. This is because the added weight of the sensor that is bonded to the inside of the crank arm weighs practically nothing. 4iiii takes the win here as its sensor adds a mere 7.5-9 grams (based on the model) to your bike. But we have to admit, this is splitting hairs a bit. The Stages power meter only adds 20 grams – which is still almost nothing. Likewise, the Pioneer sensor adds 22 grams. Since the weight is negligible for all of these power meters, you could also call this a tie. 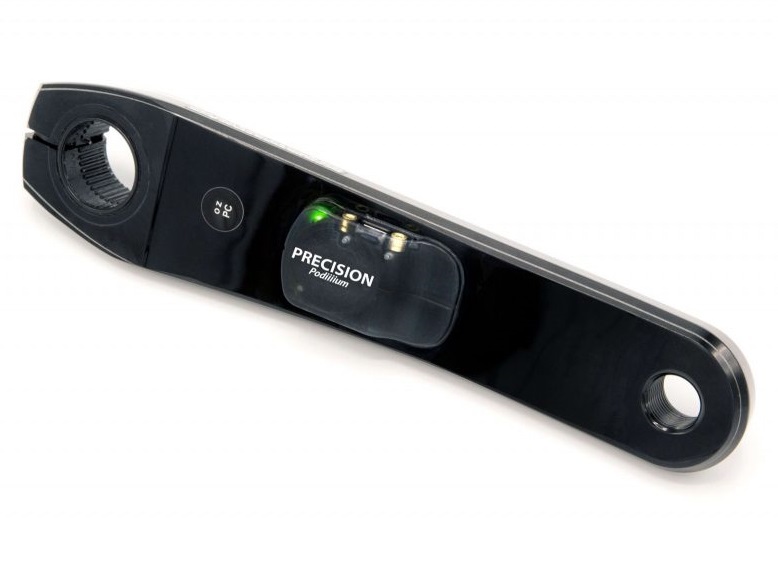 The 4iiii PRECISION arms run off a 2032 coin cell battery, while their Podium model uses a rechargeable lithium-ion battery. Stages and Pioneer also uses 2032 batteries. We call this a tie because battery type is subjective. Some people prefer the longer battery life afforded by a coin cell battery, while others like rechargeable as they never have to replace batteries. It’s personal preference. We’ll leave the 4iiii rechargeable battery alone here and compare the CR2032s so we can have an apples-to-apples comparison. Stages gets the win with approximately 200 hours of run time per battery. This is compared to 180 hours for Pioneer (close second) and 100 hours for the 4iiii. Considering the CR2032 battery is cheap and is easily changed, we don’t consider this a big win…but a win none-the-less. Battery changes on these crank arms couldn’t be easier and it’s done the same way for all three. You pop open a small black door on the sensor, remove the old battery and insert the new one. No special tools required. It’s a one-minute job. All three power meters transmit power and cadence data via both the ANT+ and Bluetooth SMART wireless protocols. This makes the power meters compatible with either your favorite head unit or smart phone. We are going to call this one a tie as well. 4iiii claims an accuracy of +/- 1.0%, Stages +/- 1.5% and Pioneer +/- 2.0%. However, the 1.0% difference we are talking about here is minimal. In addition, it’s really hard to validate this differential. Third party tests have shown these power meters to track other, popular power meter models closely. Is it possible that the 4iiii is slightly more accurate…perhaps, but in the grand scheme of things, we don’t think this should be a deciding factor. Active temperature compensation allows the power meter to adjust for changes in temperature during your ride. This technology helps keep the power meter accurate in all weather conditions. Both the Stages or Pioneer power meters feature this technology. The 4iiii does not. All three power meters use an accelerometer for cadence detection. Note that the Pioneer ships with magnets, however they are only required when you are using a dual-sided Pioneer crankset that is paired with the Pioneer head unit. In that instance, it aids in the 12/6 orientation of the crankset and helps refine the cadence. When in single leg or non-Pioneer mode, the sensor handles the cadence with the accelerometers that are built into the transmitter. All of these power meters require the user to perform a calibration (technically called a zero-offset) procedure before every ride. The process of zero-offsetting is quick and easy. The Pioneer comes with a 2-year limited warranty. This compares to 1 year for 4iiii and Stages. There’s not much more to say on this. Pioneer takes the win. Stages Cycling takes a big win here and this is one of the biggest differences between these brands. The company makes crank arms that are compatible with Shimano, Campagnolo, FSA, Cannondale, SRAM and Race Face cranksets. They offer carbon arms as well as versions for road, MTB and track. 4iiii on the other hand, only offers road and MTB crank arms for Shimano. Pioneer offers road crank arms for Shimano. Pioneer power meters measure force and direction every 30 degrees – or 12 times every revolution. When used with a Pioneer or Wahoo computer, you get a real-time display of Force Vector, Torque Chart and Pedaling Efficiency metrics. All of these power meters feature Bluetooth SMART compatibility and also have dedicated cycling apps. The apps are free and are available for both iOS and Android. While there are definitely some differences in the apps – the 4iiii app is the only one that lets you record ride data while the Pioneer is the only one to provide much in the way of advanced pedal metrics – there are also similarities. For example, they all allow you to update firmware and conduct your pre-ride zero-offset. We’re calling this a tie as the there’s too much subjectivity to determine a clear winner. Ok, so we saved the big one for last. We’re going to focus on Shimano versions here because that is one model sold by all three companies. As you can see in the table below, across all models, 4iiii power meters are priced below the others. They currently have 105 5800, Ultegra 6800 and DURA-ACE 9000 units on sale for $360, $375 and $449, respectively. These are some amazing values. But even on current models they are lower. The 4iiii Ultegra R8000 is $55 less than the Stages and Pioneer, on average. Likewise, the 4iiii DURA-ACE 9100 is $40 less than the Stages and Pioneer, on average. This table also makes it clear that Pioneer’s product offering in fewer than the others. They make great units and it would be nice to see them add some more models to the mix! * These models are currently on closeout. As you can see, and as we mentioned at the outset, these power meters share many similarities (installation, battery, ability to change batteries, communication protocol, cadence detection, calibration, etc.). But there are some differences as well. Most notably crankset compatibility (Stages is compatible across a wider range of cranksets), price (4iiii is the most affordable) and warranty (Pioneer provides a full 2-year warranty). We’ve personally owned and trained on all of these power meters and they’ve been great. It really comes down to what’s important to you – and quite frankly, what equipment you’re currently running. If you have a Shimano crankset and want to save some money, the 4iiii is probably a great choice. If you have a SRAM or FSA crankset for example, you’re looking at Stages. In addition to being a great all-around power meter, the Pioneer will also give you active temperature compensation and a longer warranty. We are pretty confident that regardless of your choice, you’ll enjoy it and will be a stronger cyclist for training with power!